I often get clients coming in who are at a crossroads in terms of whether or not they should leave their relationship – these clients generally come in on their own initially so we aren’t having this conversation in front of their partner. This of course creates a safer space for the client to share their honest feelings without the fear or concern of hurting and angering their partner. I always invite the client to take a good hard look at what the current situation looks like, where they are in terms of any hope for moving forward in the relationship and what their insight is into their ownership in the whole thing. Of the thousands of couples I have worked with over the years I can literally only think of a small handful where the blame for the relationship breakdown can solidly be laid at the feet of just one partner. It almost ALWAYS takes two. I encourage the client to take that difficult look inside at their own part in it, respectful of the courage it takes to actually do that. If my client unequivocally states that he/she is ‘out’, that they feel absolutely nothing for their partner nor do they harbor one iota of interest in moving forward with couples counselling to address the issues then I will help them work through where they go from that point. I am not in the business of trying to talk anyone into doing anything they absolutely do not want to do. Of course counselling often provides plenty of opportunities for feeling uncomfortable but never, ever do I push a client into a place of feeling they HAVE to do something they hate the idea of. something like this: A few months after leaving the relationship the client wakes up at 3:00am. They look beside them and there is either someone laying there who probably shouldn’t be or they’re all alone and left wondering if they had done everything before leaving. If there are possibilities that were left unexplored then that horrible regret can so easily slide in. Clients have told me about experiences very similar to this, where the realization hit them that they had acted prematurely. 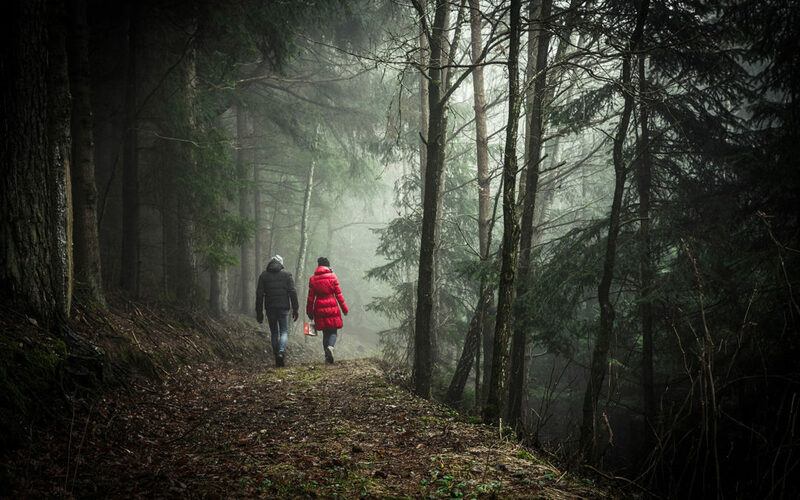 When they approached their former partner they found out that it was too late, that the partner had moved on or was now in a place where he/she no longer had the desire to be in the relationship. Though it will eventually be okay, it can be a very dark place for the client for awhile. So if the client wakes up at 3:00am and realizes that yes, they HAD indeed tried everything but that the relationship could not continue, then they will not have nearly the problem curling up and going back to sleep, safe in the awareness that they HAD tried everything, including counselling. I have worked with couples who initially came in sitting at a .01/10 on the hope scale. That .01 means there is still something there and I believe it’s worth taking a closer look at that.